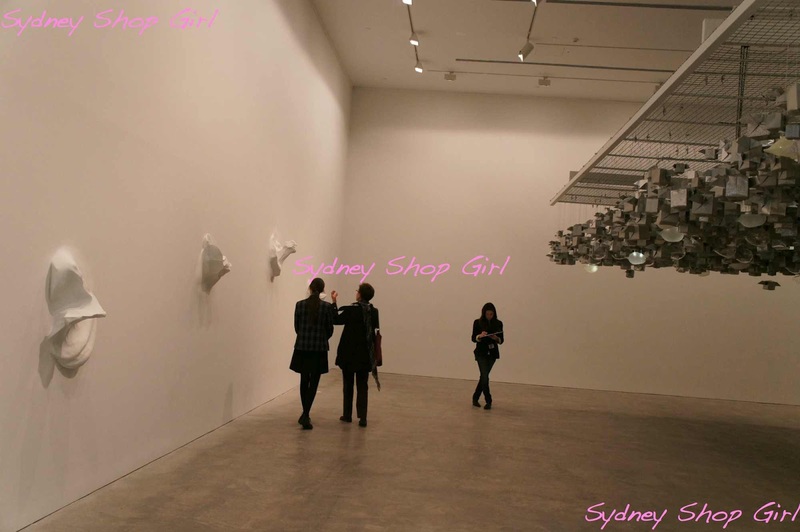 Sydney Shop Girl: The 18th Biennale of Sydney 2012. Yummy Cuisine, Martin Place, Sydney. 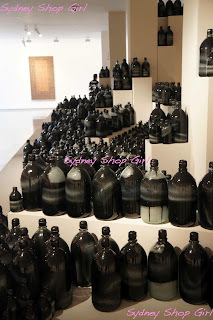 The 18th Biennale of Sydney 2012. 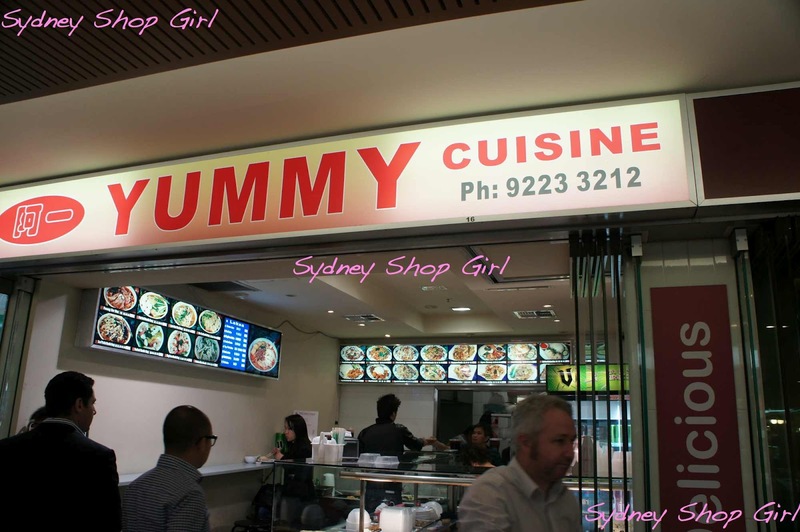 Yummy Cuisine, Martin Place, Sydney. 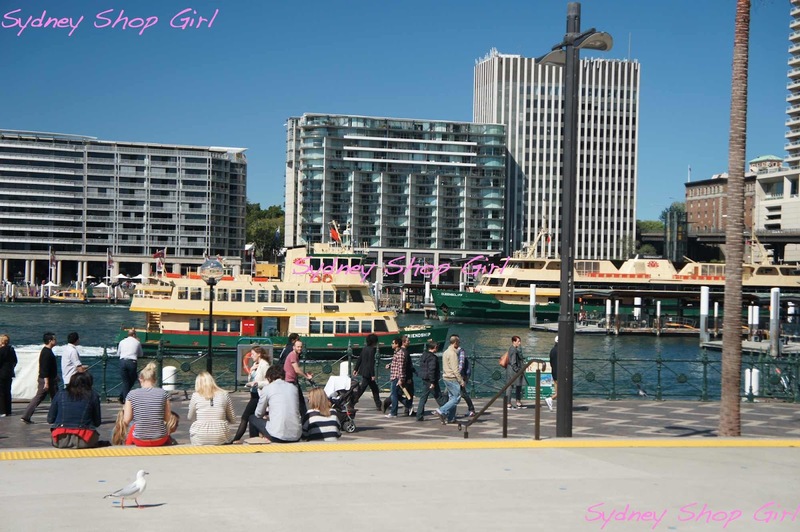 When the sun shines in Sydney and you're anywhere near Circular Quay, it's hard for even the most jaded local not to slip into tourist mode. You can never take too many photos of the Harbour Bridge as you walk along the concourse. The familiar digieridoo with added synth base of a regular busker adds to the experience and the food from the nearby stalls and markets all start to look more tempting than usual. The mood is festive and relaxed as happy conversations in a multitude of languages swirl around in the air. Groups stroll along, pausing every so often for happy snaps. The chatter is punctuated with the nasal moans of ferries docking and speedboats roaring to life. Trotting along at a Sydney sider pace, my destination on Friday was the recently renovated Museum of Contemporary Art. 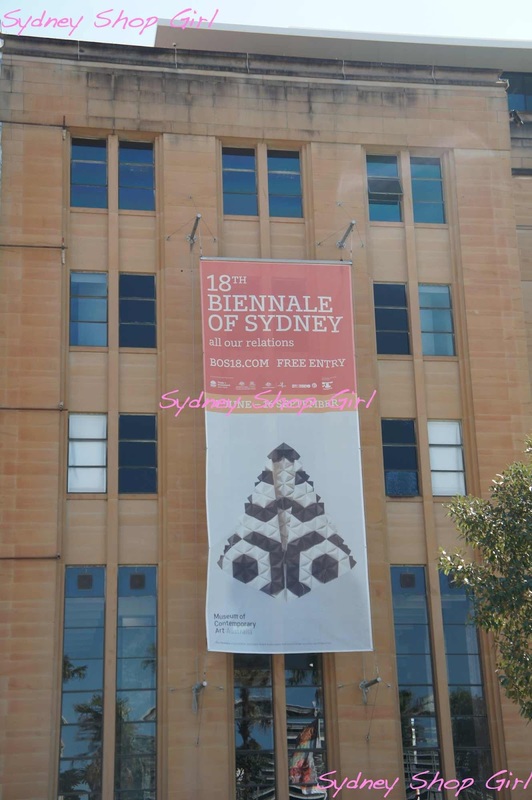 The MCA was one of the host venues for this year's Biennale of Sydney, a contemporary art festival that attracts artists from around the world and is immensely popular with Sydneysiders. Admission is free and there are events such as guided tours held in conjunction with the exhibition. 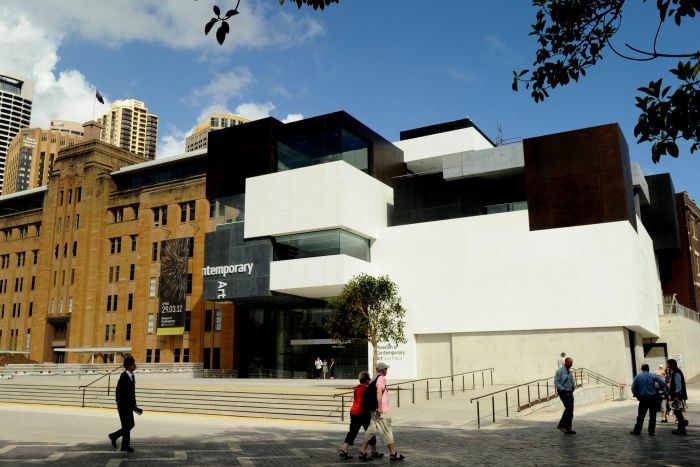 The museum was closed for 7 months over 2011/2012 for the $53 million renovations. The architect was Sam Marshall and he had the challenges of updating a 1950s boxy building, making it relevant to now but also being sympathetic to the history of the Rocks area. All the while ensuring that the MCA stood out and looked 'arty' (at least that's what I reckon). I think he did a fabulous job. 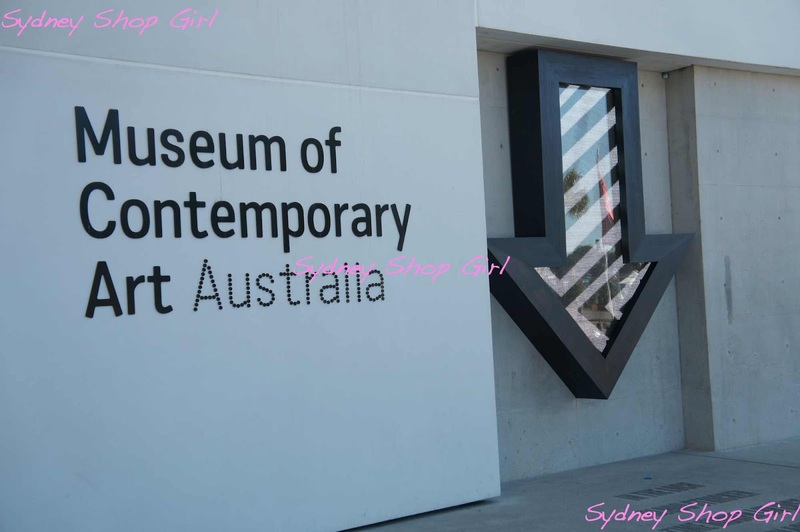 As with many museums and galleries, the art doesn't start after you've entered the front door. There were all sorts of quirky installations on the pavement outside the entrance too. 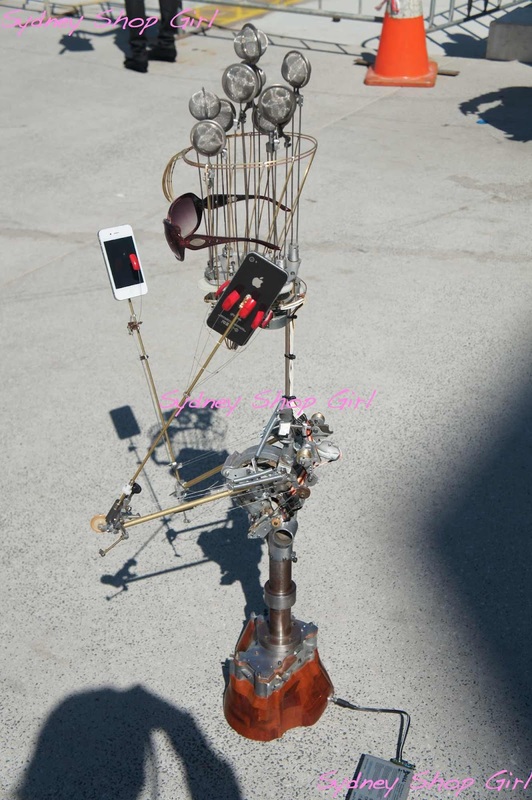 This wiry fembot clutching a pair of iPhones made me smile. 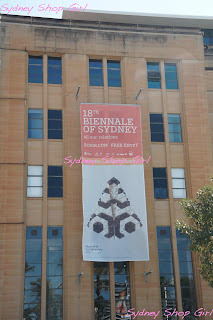 The theme of this year's Biennale was 'All Our Relations'. 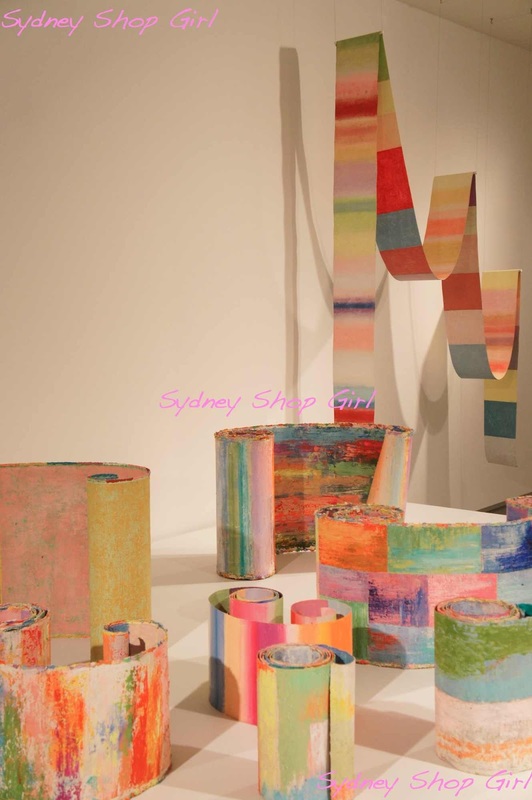 An exploration of the interaction of objects and the human senses in the modern time. 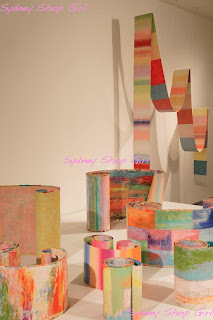 What this meant to me was that the pieces and installations chosen for the exhibition weren't just pictures on walls but works of art that had a physical presence within a room. They seemed to draw you towards them as you walked past. 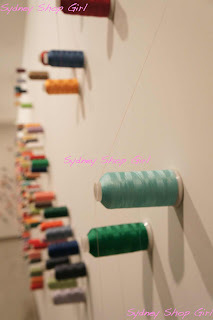 There seemed to be a different energy in each room that related to the kind of art on display within it. This probably relates to the diversity of media used and the themes the artists are trying to communicate. It was a very different feeling viewing this series than say looking at a collection of paintings based on one particular artist or period. Pinaree Sanpitak's 'Anything Can Break' was a matte silver installation suspended from the rooftop that made different noises as you walked beneath it. To the left of it was Aiwar Balasubramanium's 'Nothing From My Hands', a series of white sculptures that studded the wall. 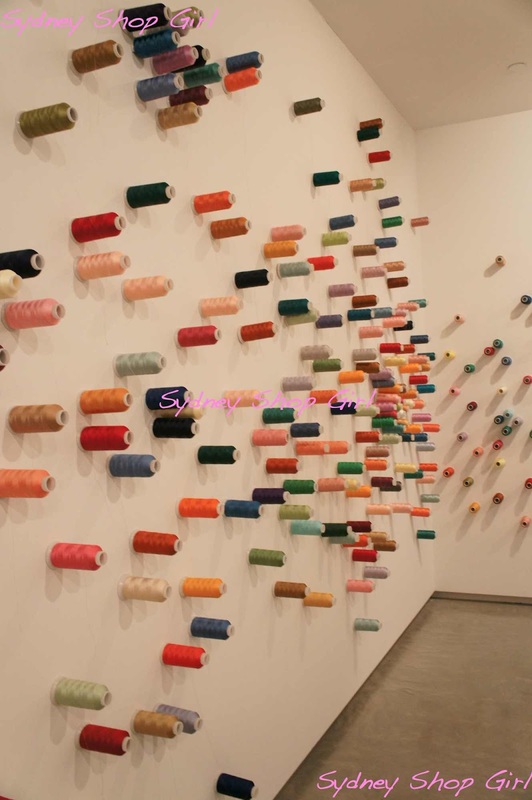 'The Mending Project' by Lee Mingwei incorporated 2 walls of spools of thread and a central wooden table and chairs. 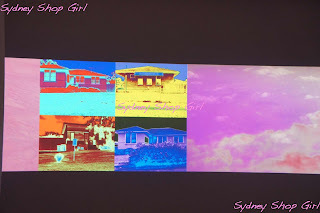 'Air Land' by Khaled Subasbi was a series of projected, technicolour images featuring post war bungalows found in suburban Australia. I wanted to reach out and sneakily run my hand across all the bottles in 'Two-Headed Snake' by Lui Zhuoquan. 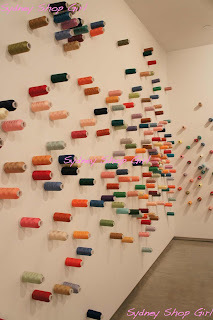 The entire work was metres long. 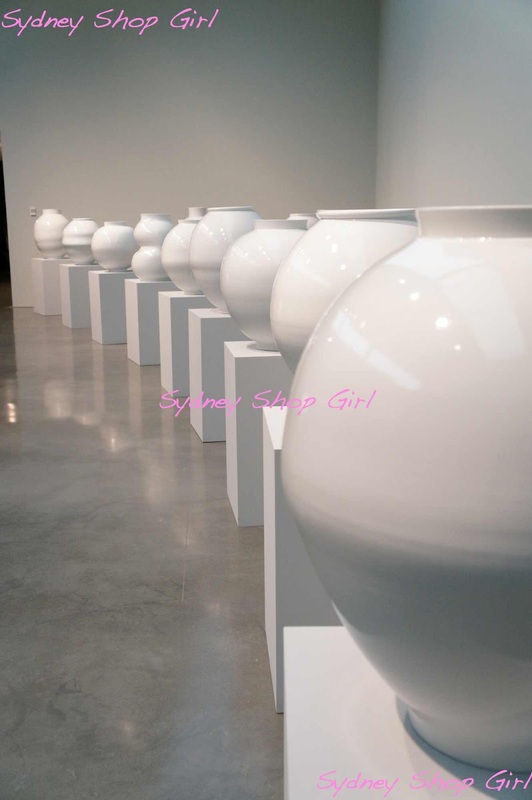 This series of white porcelain jars by Park Young-Sook was on loan from the artist and the Gallery Hyundai, Seoul. It was also picture perfect outside. 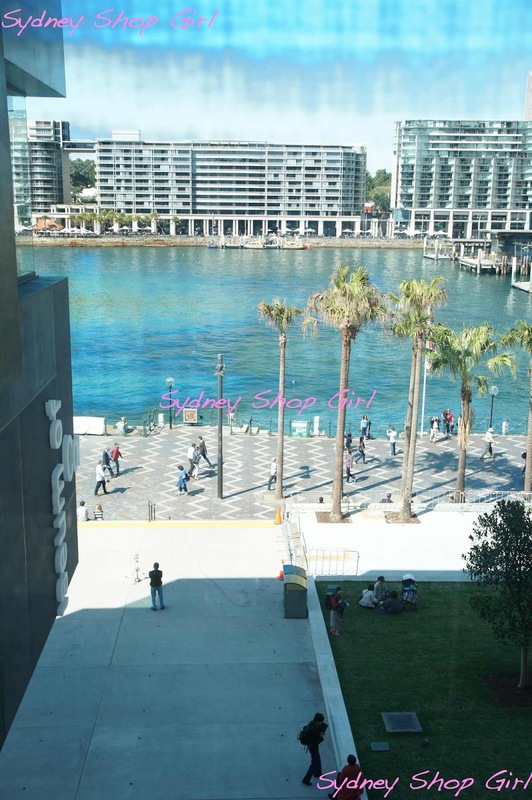 The lifts of the newly renovated part of the MCA offer a building lengths view of the world outside. After a spot of culture for the morning, it was time to meet up with Mr SSG for lunch at one of his latest finds. 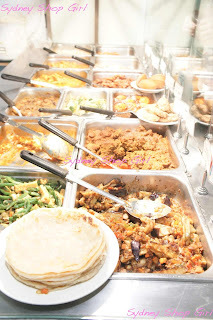 We've been to Yummy Cuisine a couple of times now and it's gotten more popular since our last visit. It serves Malaysian Chinese food and you'd be hard pressed to pay more than $15 for your meal and drink. Even the cooked to order noodle dishes come it at $12 max. 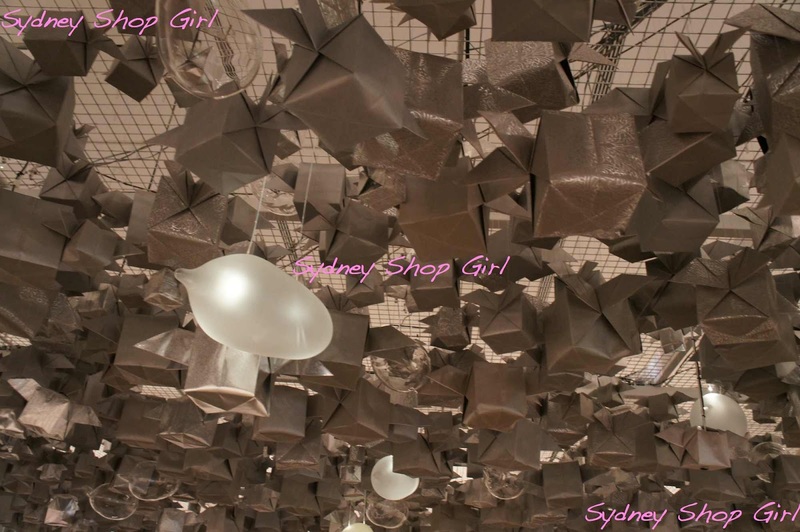 The restaurant is tucked under Martin Place in a maze of cafes and small businesses. There are a few seats inside and a shared eating area outside. The menu is displayed on backlit displays at ceiling height. In addition to the noodle dishes Mr SSG and I are addicted to, Yummy Cuisine also serve a chicken rice which was very popular on both occasions that we visited. 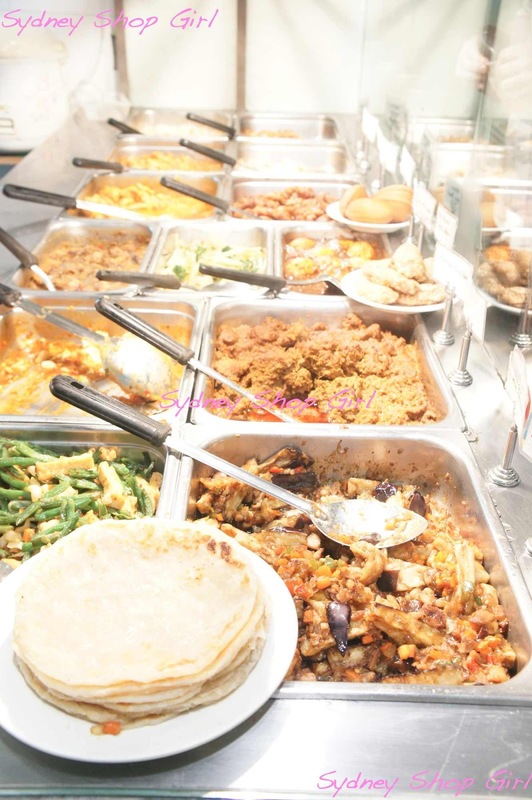 Lunchtime service is fast and furious from the bain-marie of favourties - curries, rhoti, sambal flvaoured vegetable dishes as well as dishes with milder flavours. Sitting at the simple side counter on a pair of high stools, the colours, fragrance and commotion reminded me of going out to the markets in KL. 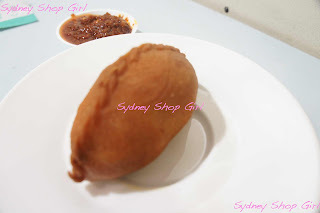 I had a curry puff craving and for $2, the Yummy version was just that. The pastry was crisp and heavy enough to balance the curried beef and potato filling. It's a less flaky pastry than some people may prefer but I'm all for diversity in a curry puff pastry. I ordered the Mee Goreng and I'm not sure if I'll ever look at my stash of IndoMie packet version in quite the same way ever again. This freshly cooked version had it all. A rich, tomato based sauce with a generous amount of potato, chicken and seafood running though as well as lots of greens and sprouts. It also came with a bowl of clear soup filled with Chinese greens. 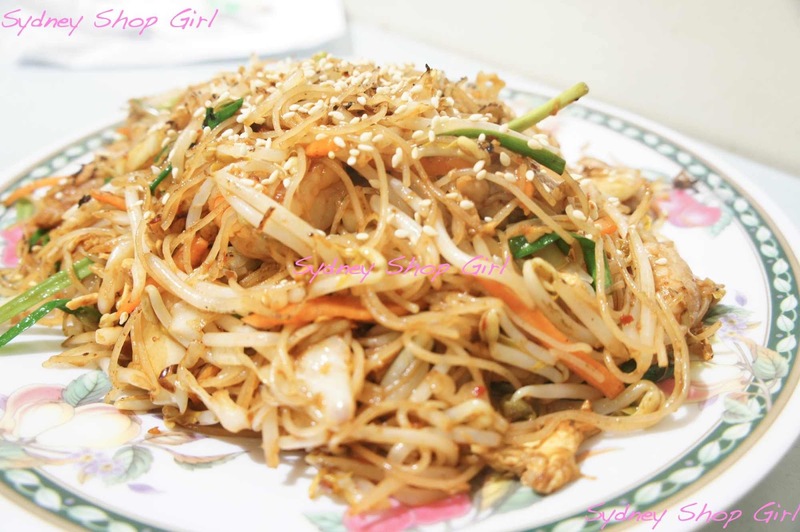 The Singapore Noodles were sprightly and light. They weren't overloaded with curry powder as the dish can sometimes be. It had that lovely flavour that only comes from a very hot wok. 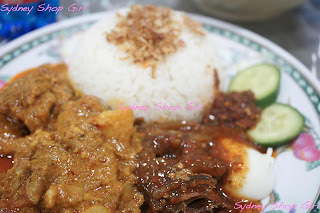 The last time we visited, I had a serve of Nasi Lemak which was curry and carbs heaven as far as I'm concerned. 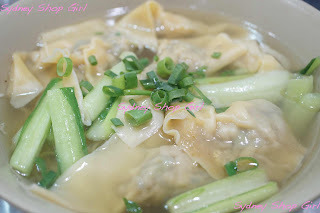 Mr SSG had a large bowl of wonton noodle soup which was also delicious. Unfortunately, because of it's location in the business district, I think Yummy Cuisine only opens during the week. On the up side, I have a week of holidays left. Plenty of time to squeeze in one last lunch, I think. 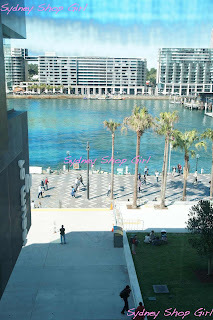 Great review of the MCA, and the food looks great for a lunch time city date!